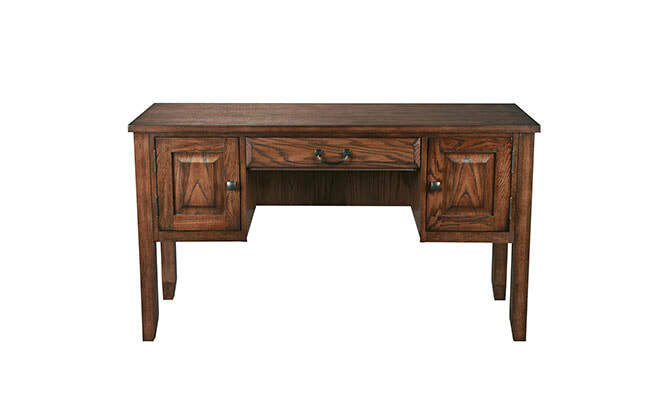 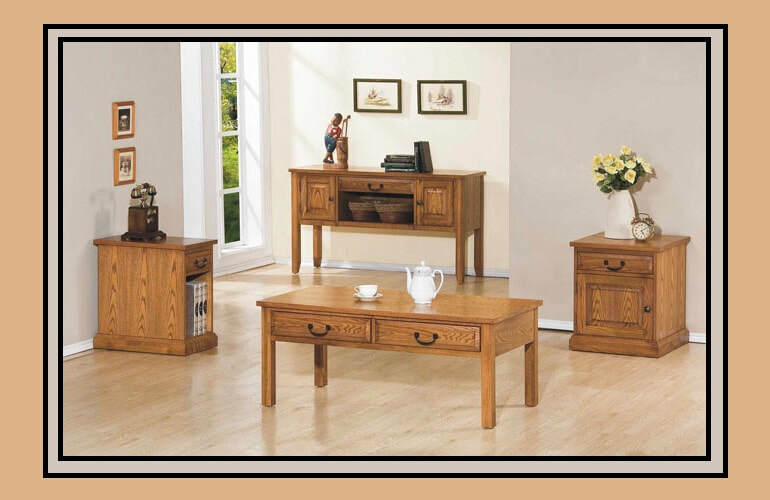 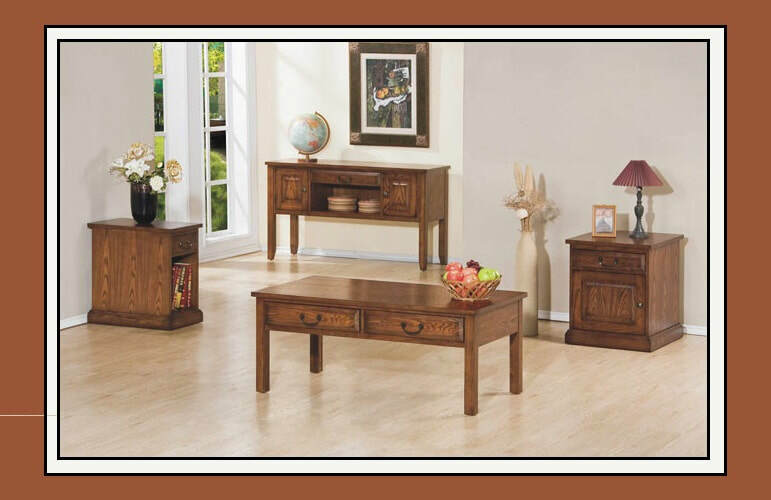 The Zahara collection offers a light and medium oak finish in traditional or Mission-inspired styles. 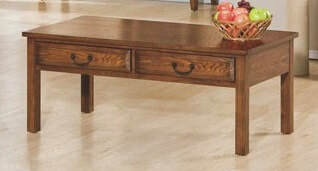 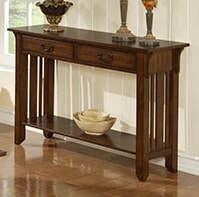 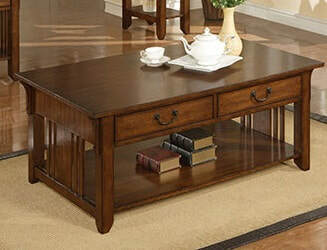 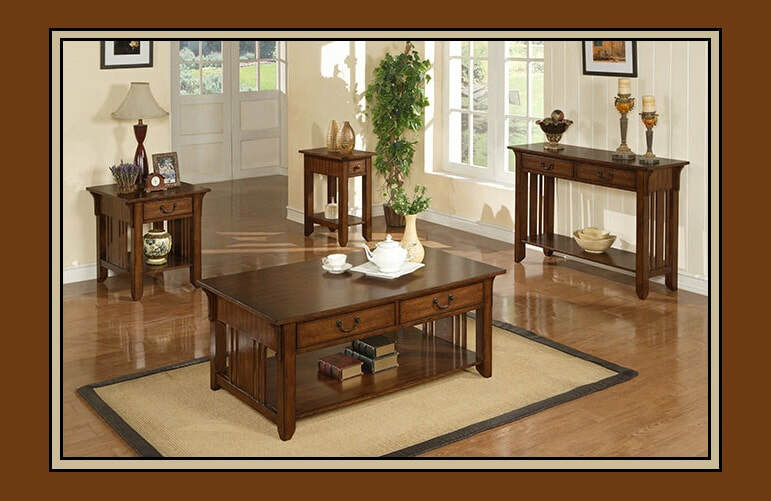 Mission-styled tables, constructed from oak veneer & hardwood in a medium oak finish. 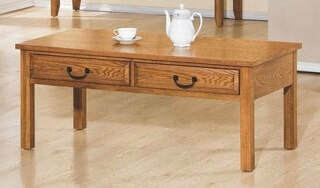 Economically priced & built for years of enjoyment. 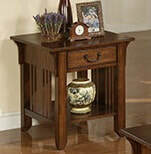 All wood drawer construction with wood-on-wood drawer glides. Solid red oak and hand-selected and matched red oak veneer, in light or medium oak finishes. 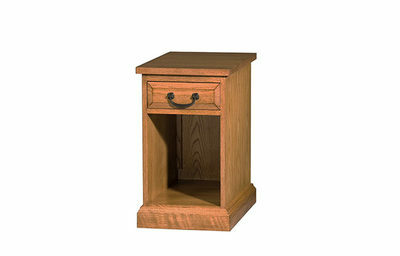 Finished drawers with full extension ball bearing glides.